The Weather Guy is touring Belize in the no WIFI zone today. I'll do what I can to substitute for him. MOSTLY SUNNY TODAY AND PARTLY CLOUDY TONIGHT. SHOWERS, IF ANY, WILL BE ISOLATED. (TUE & TUE NIGHT) CONTINUING MAINLY FAIR AND WARM WEATHER. 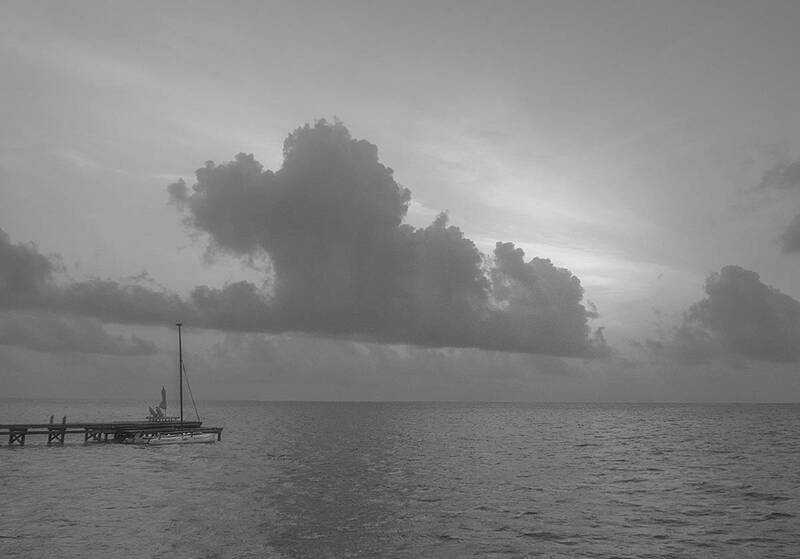 On Ambergris Caye this morning the sea around our barrier reef is calm and the wind is from the Southeast at 6 mph. Today's expected high is 88 f.